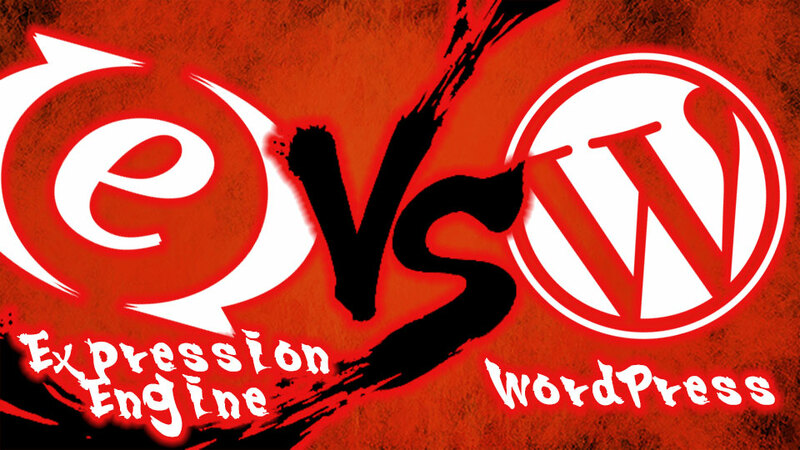 ExpressionEngine vs WordPress… Which CMS Is Right For Your Business? There are many articles about ExpressionEngine vs WordPress floating across the internet, so, I won’t bore you with similar comparisons here. As a small business or non-profit organization, you don’t have time to understand the differences, and I bet you don’t care. So, I want to create a simple break down of what type of website works best for each CMS and you can decide. The core installation of ExpressionEngine comes with a very nice E-commerce module called Simple Commerce for creating and selling products online. WordPress needs a plug-in to start selling products on a website. But, what makes EE an even better option is the stellar E-commerce add-ons available to take your products to the next level. Most of these add-ons do cost extra money, but the product control and easy integration with most CRM applications and 3rd-party shopping carts makes the extra cost worthwhile. Membership control is where ExpressionEngine really shines. There is a membership module installed right out of the box that allows website owners to control their content distribution. EE allows multiple levels of membership so that only certain groups can view exclusive content. If you’re planning to offer any paid content, coaching, training courses, or you just want a protected community for members, EE has you covered. Each ExpressionEngine website is built from the ground up meaning your website can be structured anyway that you want. EE allows for multiple channels of content, and you can add more channels at any time. It is easy to inter-connect content through association also called “relationships.” Another great feature is the multiple site manager that can connect several EE websites and is manageable from one central location. If you are serious about growing your brand and don’t want to be stuck having to redesign your site later, ExpressionEngine is your best choice. I believe it’s important that small businesses blog about their industry and become an authority people trust. WordPress is a self-hosted blogging platform. It’s the best option for businesses that primarily focus on a blog. Adding a new blog post or blog category is a cinch for even the biggest technophobe. Also, there are a lot of plug-ins to enhance the blogging experience for visitors. If you’re not planning to sell products, but just want a website that acts like a brochure to give visitors information about your business, then using WordPress is your best choice. The Media management capabilities inside of WordPress has grown a lot over the last few years. It is now effortless to upload several portfolio pieces and create an image gallery on your website. With a lot of great “themes” specifically geared towards portfolio-style sites, it’s simple to show off your best work. One of the features that has made WordPress popular is the ability to easily change the design or “theme” of the website with a few clicks. Premium themes are relatively cheap and range from $30 – $99 in price. The downside is that they are usually limited to the features set up by the theme author. There is a famous saying in the WordPress community that goes “there’s a plug-in for that.” When it comes to integrating your website with a popular 3rd-party app, there probably is a plug-in for that. Whether you need to integrate with a social media platform like Facebook, an email application like MailChimp or a customer relationship manager like Infusionsoft, there is probably a plug-in already. One word of caution is to be careful about which plug-ins to install. Some of them lack enough support if your website breaks from installing the plug-in. Paid plug-ins or plug-ins directly from the 3rd-party company are best. Each of the points above is not exclusive. For instance, many businesses use ExpressionEngine for blogging or WordPress to sell products. This post is based on my professional experience with using ExpressionEngine and WordPress. Each system works better for different situations. A lot has changed with my business since writing this article in 2013. ExpressionEngine 3 is not a free upgrade and past versions have no support officially. Each new version is so much trouble to upgrade and almost never go smoothly. Official support costs extra money in addition to the license. The pricing model just doesn’t work and there are developers that have jumped ship to go to other more user-friendly platforms. Finally, I’m focusing now on including sales funnels with everything I do. I wrote about the difference between WordPress websites and sales funnels recently. Check out the comparison and see why you need both in your business today! Thanks dude, good sum up. You’re welcome! I hope you got the software and are getting good results with it! I think EE just decided to go Free. Except for a couple of Ecommerce modules in their store. I hope you will revisit this entries keeping that in mind. Thank You, Have a Nice Day.! Yes I did see that EE went open source. I appreciate your comment and I will try to update this article soon to reflect the change.